2014 marks the start of a 4 year long commemoration of the fallen of WWI. 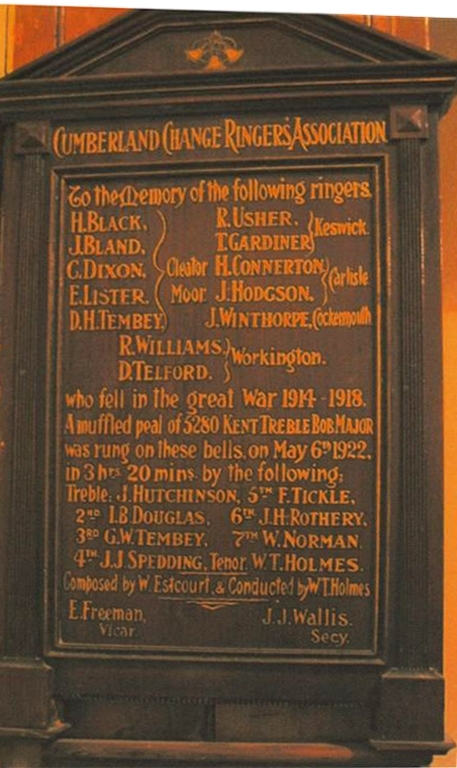 During the war, many ringers from towers in the Cumberland Association went to war, some never returned home. Those we know about are recorded on a peal board in Hensingham tower. To recognise their sacrifice, it is the intention of the Guild to ring at the tower where the fallen rang on the day that they fell . 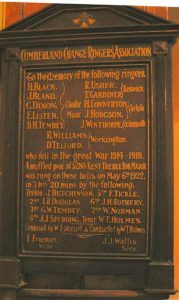 The Central Council has compiled Rolls of Honour for the casualties of both World Wars. Click here for a link to the WW1 records.